Genesis Refrigeration and HVAC LLC offers expert quality furnace installations, heating system maintenance, repair, and replacement. Whether you use an oil burning, dual fuel, electric or gas furnace or boiler to heat your home; your heating system needs basic maintenance or replacement. Our HVAC experts are set to provide you with excellent furnace services that will transform your home into wonderful living space. We service Monroe, Everett, Snohomish, Woodinville, Bothell, Woods Creek and surrounding areas. Heating takes up a large portion of your average utility costs, and it’s important to confirm that your furnace installation is operating at its peak efficiency. Similar to an automobile, a furnace tune-up will significantly cut down your heating expenses. 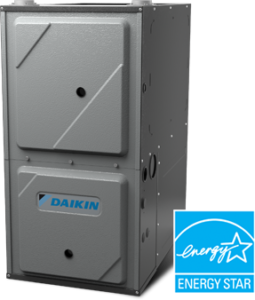 We have new 95 percent more efficient systems from Daikin heating that save thousands of dollars over the life of a new furnace installation. Why choose us for all your furnace service needs? 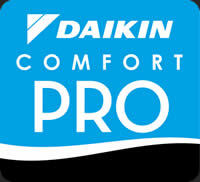 Certified and well trained Daikin Dealer, we have been in the heating and cooling industry for over 30 years, and this has honed our expertise and knowledge of all types of furnace systems. All our staff members are certified and well trained to work on all kinds of furnaces, both traditional and modern. We have regular training sessions for all our technicians to ensure they stay updated on the changing styles of furnaces and heating and cooling systems in general. We work overtime, throughout our years of operation we have found that over 50 percent of our furnace customers experience a furnace problem after 5 PM and to ensure that we meet all their needs, we have a rapid response team that is always a call away. All you need is give us a call, and we will be in your home in record time to restore your heating comfort. We offer the best furnace services and believe in all our products and services so much so that we guarantee our furnace installations, maintenance, and repairs for years. We have expert technicians who will always ensure that your furnace is in its best working condition. Furnaces have been in use since time immemorial. Perhaps one of the reasons why they are so popular as a home heating option is the fact that they lower your overall energy costs especially if you don’t use an electric furnace. However, it’s always advisable to choose the model that is most’ green’; that has the least carbon footprint on the planet. At Genesis Refrigeration and HVAC LLC, we have a wide variety of quality Daikin furnaces that will provide you with optimal heating and help you play a significant role in saving the planet by producing the least emissions. Don’t get stuck in the freezing cold, call Genesis Refrigeration and HVAC LLC today for all your furnace installation, maintenance, and repair needs.